The role of the Osteopath is to establish a good relation between the patient’s body and health. Osteopaths work with their hands using a broad range of different techniques. Underlying Osteopathic thinking is the premise that the body is designed for movement. Due to physical and/or other trauma, this healthy movement and quality is lost and restriction sets in. These restrictions are responsible for mechanical problems (such as can under pin low back, neck and other pain). They also cause a disruption in the enervation, nutrition and drainage on which every cell in the body relies for good function. In this way the benefits of addressing these restrictions through Osteopathic Treatment can be helpful to a very wide range of different conditions. The role of the Osteopath is to get normal healthy movement and quality back into restricted areas of the body, and this can be done in a variety of different ways. Direct techniques are those where the restriction is forced past the point of resistance in order to get it to move again; these are the clicks and crunches. Indirect techniques are more gentle. These involve the restriction being taken away from the point of resistance. The restriction is disengaged; like taking a coat off the coat hook in order to free it from being held. Cranial Osteopathy falls within this umbrella and that is what I specialise in. The human body is tensioned up like a spring that tends to a particular shape. It has something like a blue print that it tends towards in full health, and when the body is supported in treatment (or disengaged) in a very particular way in the context of Stillness, it is able to return back to its optimal shape in which it functions to the best of its capacity. This approach is at the heart of what William G. Sutherland (the founder of ‘Cranial Osteopathy’) practiced and taught in his later years. 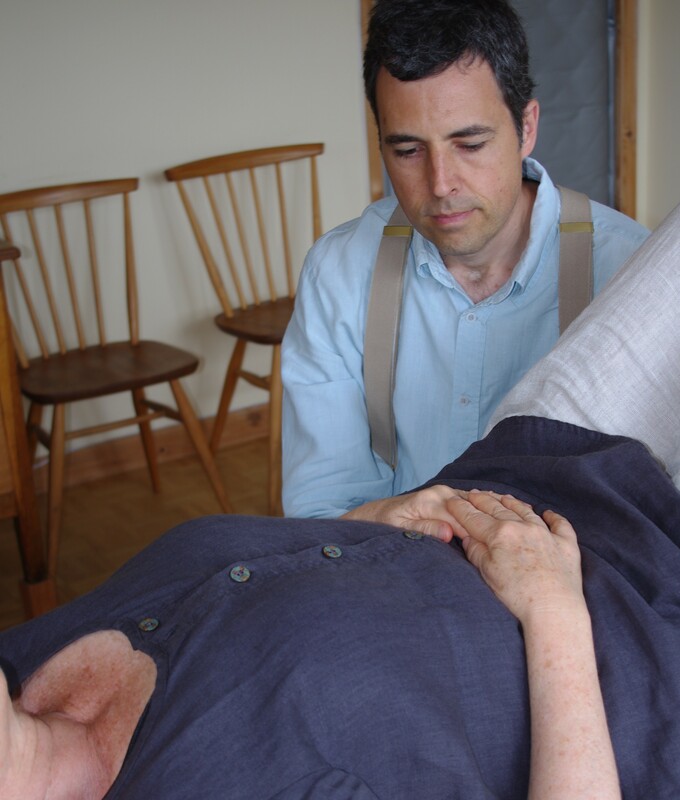 It is also likened to the work done by Jim Jealous (which he refers to as ‘The Biodynamics of Osteopathy’ or ‘Biodynamic Osteopathy’), and Mike Boxhall (which he calls ‘Getting in Touch’). For further information please follow the links below. Osteopathy is taught as a 4 year full time BSc Honours degree. This involves a sound understanding of anatomy, physiology, pathology, neurology and clinical testing, as well as a firm foundation in osteopathic principles and practice. Osteopathy is based on a western understanding of how the human body functions, similar to that of a medical doctor. Osteopaths use this information and apply it in their own unique way. In the UK Osteopath’s don’t prescribe drugs, they work with their hands. All Osteopaths, irrespective of what approach they use, have the same training and are by law required to be registered with the General Osteopathic Council, Osteopaths Act 1993. For further information please follow the link below.